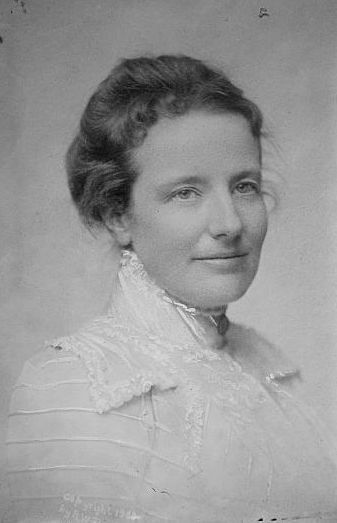 Following the election, he went to London in 1886 and married his childhood sweetheart, Edith Kermit Carow. They honeymooned in Europe, and Roosevelt led a party to the summit of Mont Blanc, a feat which resulted in his induction into the British Royal Society. They had five children: Theodore Jr., Kermit, Ethel Carow, Archibald Bulloch "Archie", and Quentin. The year after his first wife's death, T.R. ran into Edith at his sister's house. They began seeing each other again; on November 17, 1885, he proposed and she accepted. However, for appearance's sake, the young widower delayed the announcement. Roosevelt, aged 28, married secondly Edith Carow, aged 25, on December 2, 1886, at St. George's Church of Hanover Square, in London, England. On the day of the wedding, a quiet affair with few guests, the London fog was so thick that it filled the church. The groom was visible however, for he wore bright orange gloves. His best man was Cecil Arthur Spring-Rice, later British ambassador to the U.S. during World War I. After a 15-week honeymoon tour of Europe, the newlyweds settled down in a house on Sagamore Hill, at Oyster Bay. 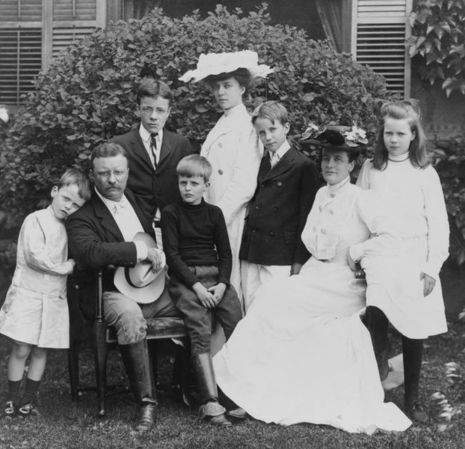 Mrs. Roosevelt, reserved and efficient, managed the household budget. Throughout T.R. 's intensely active career, family life remained close and entirely delightful.